Spend #GivingTuesday with us—register now! Skip the rest of Black Friday and Cyber Monday, and do your holiday shopping with First Book Portland instead. Our Wine-ing for Literacy silent auction is set for this coming Tuesday! 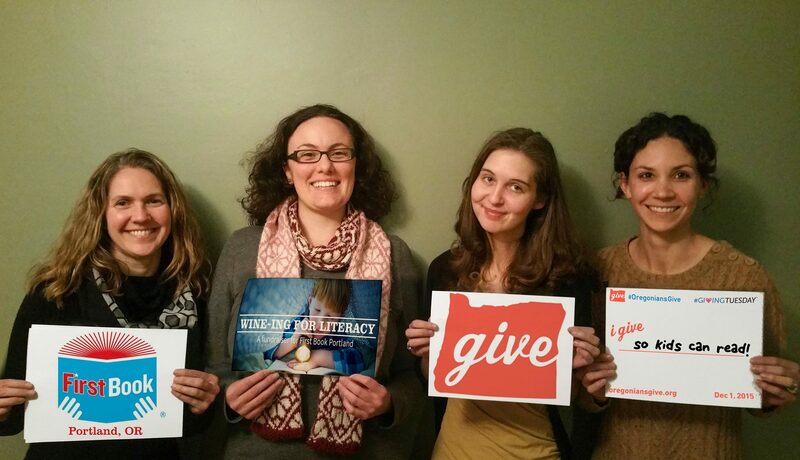 It is a great way to join the statewide Oregonians Give campaign for #GivingTuesday, because every penny from ticket sales, the auction, and armchair donations will go to providing new books to local children in need. Check out our list of recipient groups to see who you will be supporting. The event runs from 6–9pm at the offices of Urban Airship (1413 NW Everett Street in Portland). Advance tickets are $25, and you can use our online form to register right now. Full details are available on our Events page, but we wanted to take a moment to highlight a few of our generous donors, who are providing items for you to bid on during the event. 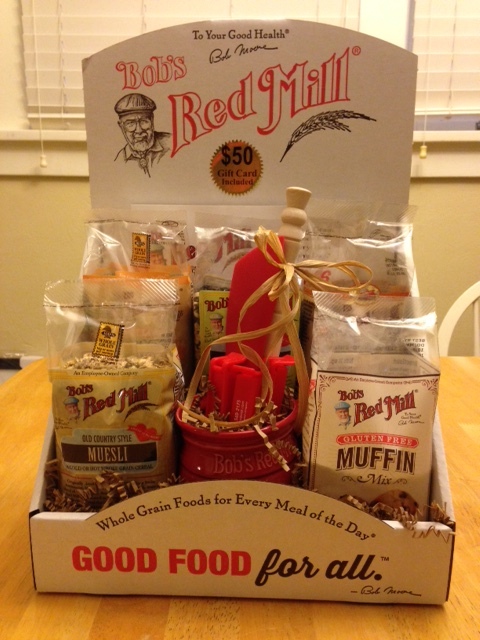 A gift basket courtesy of Bob’s Red Mill. 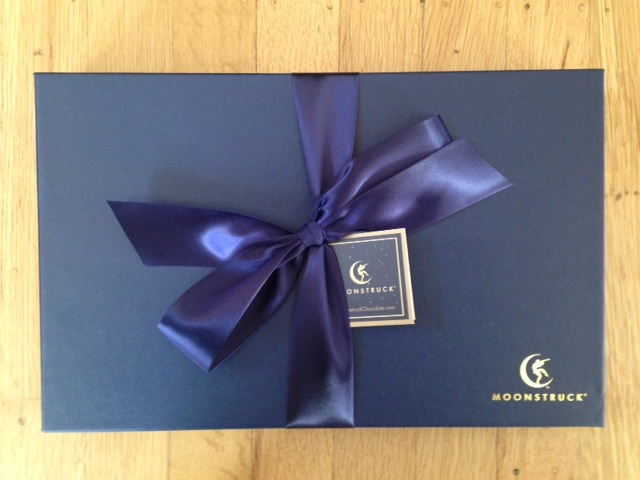 A forty-piece Classic Collection from Moonstruck Chocolate Company. 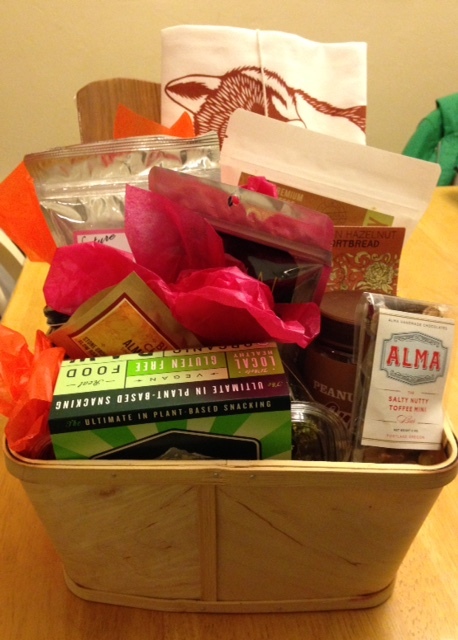 A selection of treats curated by New Seasons Market. Hand-turned pepper mills crafted by Ted Becker. And plenty of wine to sample! P.S. We have been tweeting our thanks to all our donors. If you’re on Twitter, please give them a follow or a like, and feel free to let them know you appreciate their support of children’s literacy. P.P.S. We were featured on the Big Small Brands blog as a way to advocate for Oregon children during this giving season. It’s so nice to be included in the company of other organizations doing good work for our local kids! Posted on November 27, 2015 November 27, 2015 Categories Event, FundraiserTags Invitation, Kudos & Thanks, Wine-ingLeave a comment on Spend #GivingTuesday with us—register now! You’re invited to a special evening including a premier wine tasting and silent auction to support childhood literacy. Please bring your friends to enjoy good food, great wine, and fabulous auction items.